How are you? Long weekend ahead… Have you made any plans? Am going to my hometown Chennai. Ganesh festival is on Monday and my mom will make delicious modaks. I look forward to Ganesh festivals just to eat various types of modaks 😋. What about you guys? Share your weekend plans in the comments below. 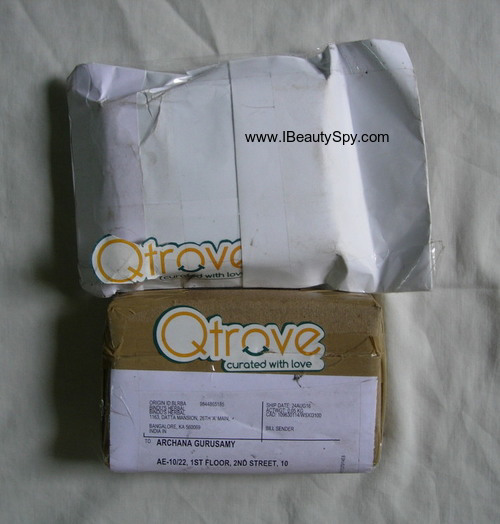 Today I am going to review a new online shopping website called Qtrove. This is a little different from the usual shopping sites as its primarily focused on handmade goodies. Don’t we all love handmade stuff? Well, I do for sure. Fuschia is one of the first handmade brands that I tried and ever since then I have been hooked to it. If you think this is just another beauty shopping site, just wait! Qtrove sells not only handmade beauty products but also home baked items, home made chocolates, jams, sauces, pickles and handmade accessories. Just take a look at their website here, it really looks tempting. Ever noticed how crowded e-commerce marketplaces get? Everyone and their neighbor is looking to sell the same products. For you, it means the same product being fulfilled by 50 different vendors with a price difference of +/-5%. For a vendor, it means having to lower the prices just to stay ahead of the curve. Heck, It needn’t be this way. 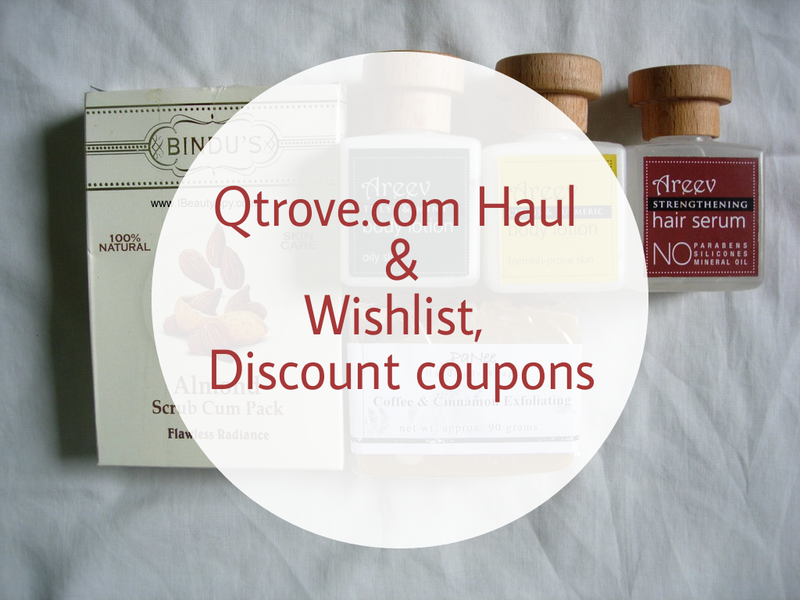 Enter Qtrove (Curated Trove) which brings you curated products from handpicked vendors. At Qtrove, we believe that YOU are unique and so should be the products you buy.The experience of shopping and selling should be delightful and joyous and our aim is to release you from the “tyranny of choice”. We have decided to handpick only the best/unique products from the choicest of vendors across the world for that curated and a personalised experience. For a change, let a marketplace be about the quality of products it sells rather than the range. Drumroll please, It’s time to strut down the marketplace ramp. 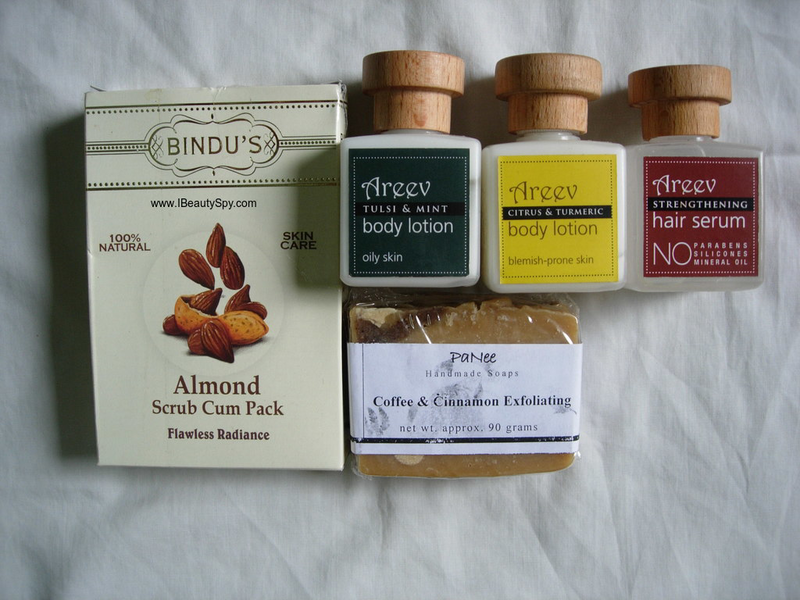 * Bindu’s Herbal Almond Scrub & Pack – Rs.108 for 50g. Am particularly excited to try the hair serum, as its free from parabens, silicones and mineral oil which is something that I have been searching for long. Finally found one natural hair serum made from amla, neem and shikakai extracts. The website is clean, simple and easy to navigate. Only incovenience, there was no sort option! Also, I had wishlishted some items for ordering the previous day. But the next day, there was no option to view the wishlist. When I contacted them, they said the wishlisting feature is still under testing process and will soon be live. The checkout process was really easy as it was powered by Shopify and the payment is by Razorpay. They have COD as well as online payment. I placed my order on August 23rd and it was shipped the very next day. I received the products on August 26th . So its a really quick delivery in 3 days. I got the products in 3 different packages as I had ordered from 3 different vendors. Each was treated as a separate shipment. The packages had Qtrove printed on them. So the entire shipping and delivery process was excellent as well. I have already wishlisted some interesting items for my next shopping haul. Do have a look at them below. They are unique and interesting handmade products definitely worth a try. If you are planning to shop, you can sign up through this link and get 20% off your first order. So, what do you guys think of Qtrove? Do you love handmade products? Do you find the above items interesting? Would love to know your thoughts. As for me, I am definitely going to shop from them again as I love handmade and natural products. P.S This post was in collaboration with Qtrove. But my opinions and reviews are honest as always. Nice review , the site seems good , will check . Yes, Mariyam. Do try out their handmade products. It’s very good. Wow thats something new and lucrative. I shud definitely shop from this website in between nice review……………. I checked this after reading your review… you have thoroughly tested it. I like the brand they have brought under one roof. Hi Archana, I’ve nominated you for the versatile blogger award dear ! Great picks! The products look very natural and lovely! I love trying out such products on my skin and hair! Btw, my hometown is Chennai too! Happy to know that you’re a Chennaite!